On today’s episode, we’re answering the important questions, like “how are Achilles and Alexander Hamilton actually the same person?” And “do we ship Achilles and Patroclus?” The answer to that one is OBVIOUSLY YES. We also nerd out over historical and literary background info and get into other book-club-like topics. 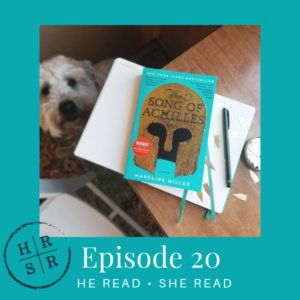 We love talking about our buddy reads each month and can’t wait to hear what you thought of The Song of Achilles! Leave us a comment on Instagram or send us an email at hereadshereadpodcast@gmail.com.